With only 4 to 5 months old, Khloe knew loneliness under a painful and sad circumstance. She found herself alone, without food, without water and with her extremely inflamed belly. Khloe has fluid retention. She’s currently hospitalized, where tests are been done and she’s been receiving treatment. 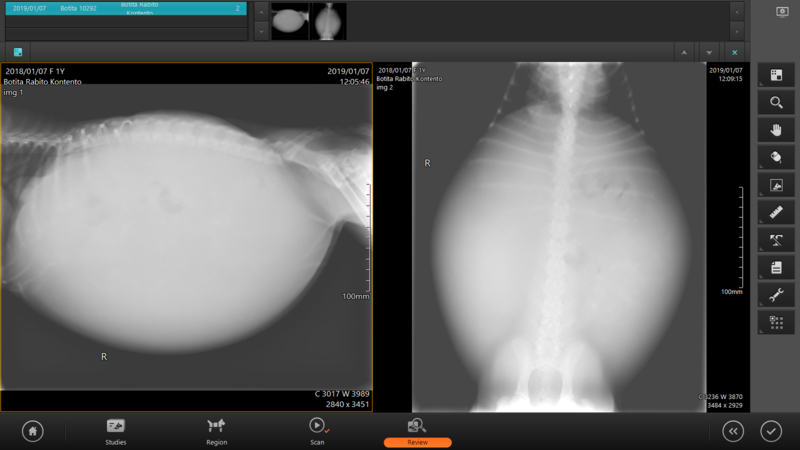 Severely malnourished and with liquid withheld, all his bones are palpable. 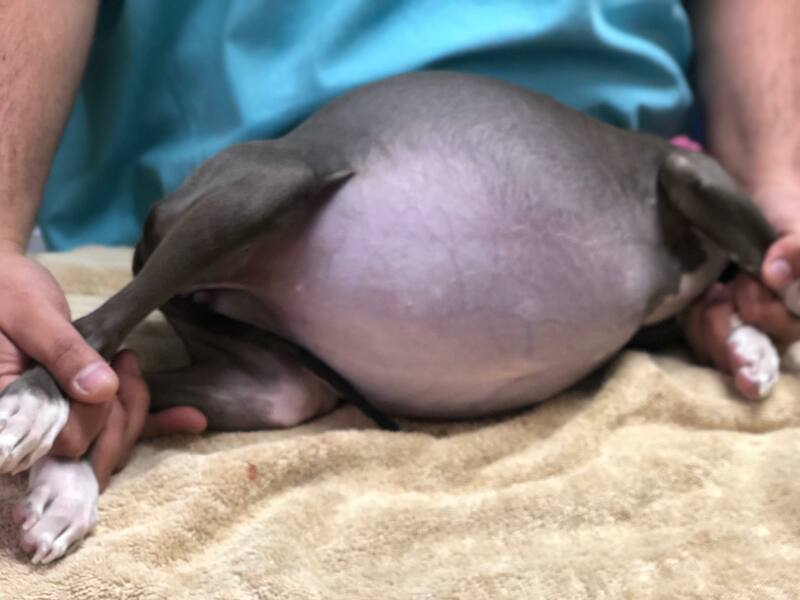 She was drained two cups of liquid and despite that, she stayed with liquid withheld, but the process is hard for her body, so it must be little by little. The Liquid removed was sent for a biopsy. She’s been giving diuretics three times a day, to help her remove the liquid naturally. Her past may have been a dark and may have been the cause of her present condition. 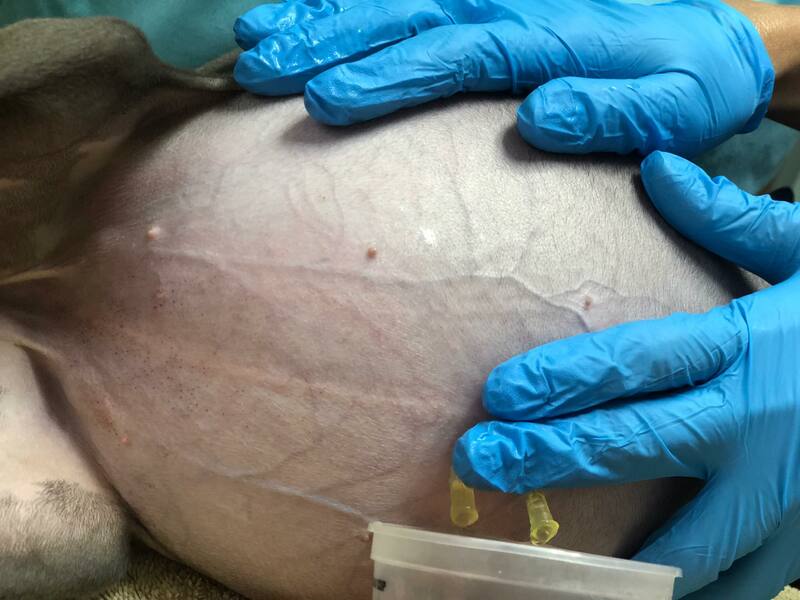 After evaluation the specialist theorizes that possibly she was administered a drug sold by the farm houses to treat mange, which is not supposed to be done and caused damage to her liver, because her kidneys in the preliminary tests do not show damage, rather, her liver is having problems. She was probably abandoned when she started to be bloated with liquid. Although all this is theory, we are very sad that this could be her story. 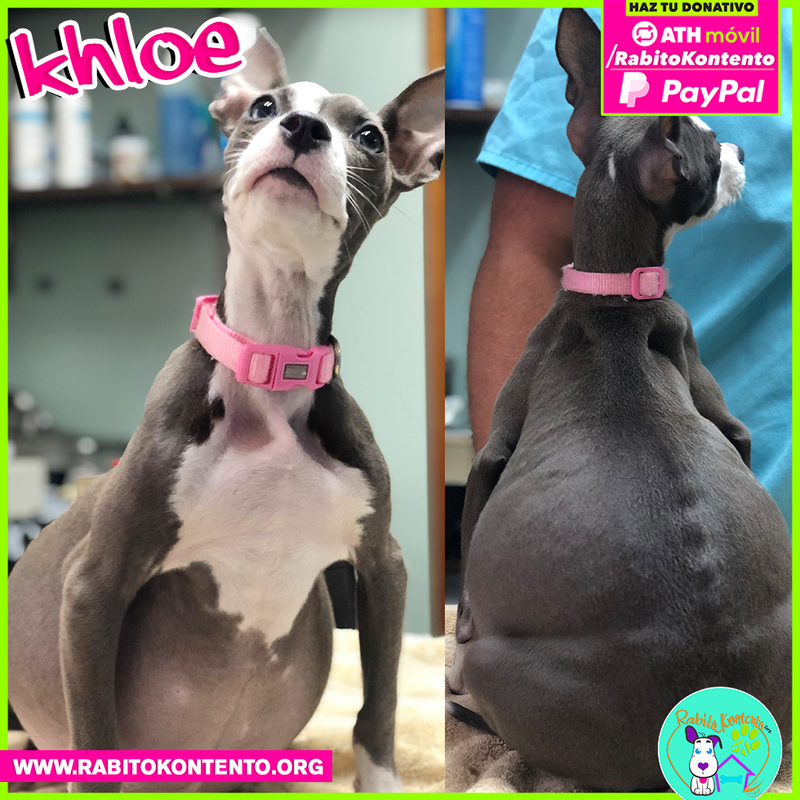 We need support for Khloe because she will have to stay hospitalized and under constant monitoring in order to save her life. Please consider making a donation to help us help her!